The U.S.-Japan Council is a 501(c)(3) non-profit, tax exempt organization in the United States which has recently incorporated in Japan as a koeki zaidan hojin. The Council administers the TOMODACHI Initiative, a public-private partnership forged after the Great East Japan Earthquake in collaboration with the U.S. Embassy in Tokyo with the support of the Government of Japan. TOMODACHI invests in the next generation of Japanese and American leaders through educational and cultural exchanges as well as leadership programs. We seek to foster a “TOMODACHI Generation” of young American and Japanese leaders who are committed to and engaged in strengthening U.S.-Japan relations, appreciate each other’s countries and cultures, and possess the global skills and mindsets needed to contribute to and thrive in a more cooperative, prosperous, and secure world. The U.S.-Japan Council (Japan) is looking for a qualified individual to support the TOMODACHI Alumni Leadership Program. The TOMODACHI Alumni Leadership Program serves to connect and empower the TOMODACHI Generation, individuals who have participated in TOMODACHI programs. The Program produces impactful and innovative programming for program participants who have experienced a TOMODACHI program to help them grow as leaders. We seek an individual who can assist the Alumni Manager and participate in various stages of engagement to support the next generation of leaders dedicated to the U.S.-Japan relationship. The individual hired for this position will need strong organizational and analytical skills and excellent attention to detail in order to integrate into our vibrant and passionate team. The individual should be prepared to work in a fast-paced bilingual and bicultural environment. The Alumni Coordinator will gain broad experience in various aspects of project management, marketing, social media, nonprofit management, public-private partnership project administration and civic engagement. The TOMODACHI Alumni Leadership Program builds upon the initial TOMODACHI experience to inspire and empower the young people of Japan and America, giving them the experiences, skills, and confidence to achieve their dreams and contribute to a better world. We offer the alumni community, which consists of over 7,500 participants of over 250 programs (at the end of 2018) aging from 14 to 40 years old, with a range of opportunities to engage and inspire one another to build strong, enduring relationships. The TOMODACHI Alumni Leadership Program is made possible with the generous support of The Prudential Foundation. 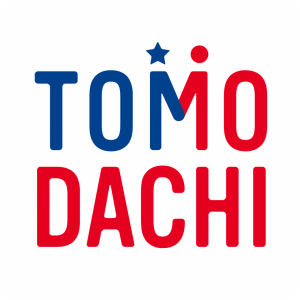 Build, promote and execute the daily functions to support the TOMODACHI Alumni Leadership Program and its affiliated organizations (TOMODACHI Initiative, U.S.-Japan Council). Maintain the Alumni Database and the Alumni Portal; manage and update marketing materials. Promote a strong connection between Regional Leaders and alumni in the region. Write, create, and translate content for magazines, newsletters and other communications. Assist with event planning and promotion, and attend events, including events outside of regular business hours. Perform all other duties as assigned by the Alumni Manager. Please send your resume and cover letter to opportunities@usjapancouncil.org with the subject line: Alumni Coordinator Application. The TOMODACHI Initiative is seeking an unpaid intern. TOMODACHI offers an exciting environment for interns to be exposed to non-profit, corporate, and government fields. Responsibilities for past interns have included creating and drafting documents, translations, website management, social media management, newsletter distribution, public speaking, communication with program participants, designing presentations and posters, and event planning. Please send your resume and cover letter to opportunities@usjapancouncil.org.